Sign up to receive our magazine regularly and receive interesting philatelic gifts. You will automatically receive it by post 4-5 times per year. The subscription fee is 12,50 EUR / 14 USD / 11 GBP + postage per year, and it will be automatically booked on your account in December each year for the following year. 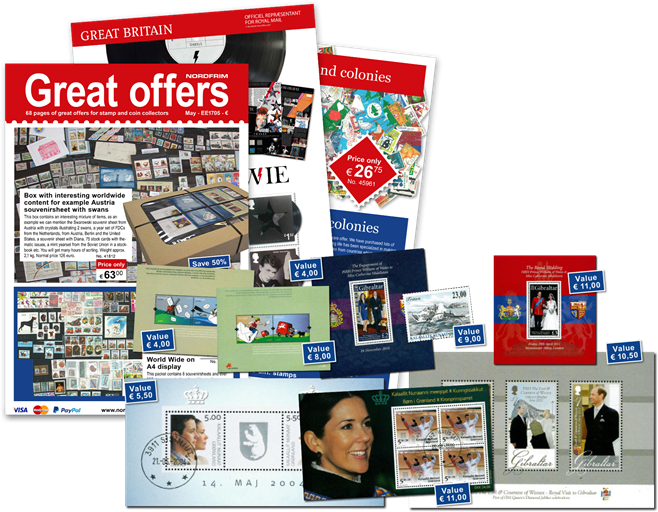 All subscribers to our magazine will receive philatelic gifts at a value higher than the subscription fee. The magazine is always full of interesting offers and special promotions for stamps, new issues, kiloware, stamp packets and accessories at very attractive prices.